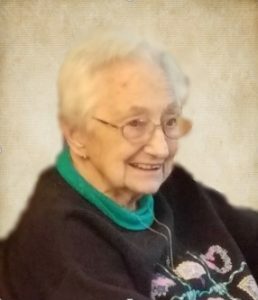 Luella Byam, 94, of David City, died Wednesday, January 16, 2019, at St. Joseph's Villa in David City. 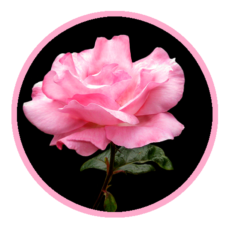 Funeral Service Saturday, January 26, 2019 1:00 P.M.
Visitation Friday 5-7 P.M. and Saturday 11-1:00 P.M.
Luella Byam (Grubaugh) was born October 18, 1924, in Butler County to Richard and Edna (Smith) Grubaugh. She attended David City Schools, graduating fron David City High in 1941. She worked in the David City area for Coast to Coast and Lincoln Telephone and Telegraph. On February 25, 1953, she married Donald Byam and they lived in the Ulysses area, moving to Lincoln in 1955. They returned to Ulysses and in 1967 moved to David City where they raised their three sons. Luella returned to the work force after her boys grew up and worked at Henningson Foods and D and L in Columbus, retiring in 1987. She loved gardening, raising flowers, sewing and volunteering. Luella especially loved assisting the elderly, volunteering at david place and the David City Senior Center. Luella is survived by two sons; Randy Byam of Owatonna, Minnesota, Mark and his wife Jennifer Byam of Peoria, Arizona, four grandchildren;Jacqulen, Brandon, Serenidy and Draygen, two great-grandchildren, sister-in-law Marlis Alderman of Wahoo and many nieces and nephews. She was preceded in death by her parents, husband Don, son Myron, sisters, Fern Grubaugh, Rella and her husband Russell Babcock brothers, Howard, Everett, Harold, Elmer and an infant brother as well as in-laws Dean and Dorothy Byam and Lillian and Gene Hormel.